Did you know that duck down and feather quilts are good for more than keeping you toasty warm in the winter? The unique temperature control properties of duck down make the Downia Summer Lightweight Duck Feather and Down Quilt ideal for summer use and climate-controlled homes, keeping you luxuriously covered and perfectly ventilated at the same time. 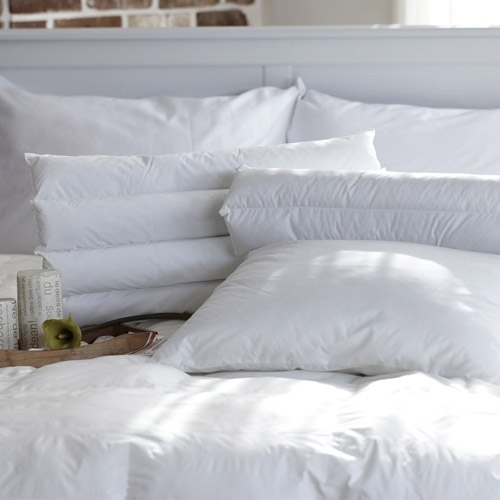 With this lightweight, white duck down and feather duvet, you'll spend every summer night in sumptuous comfort, and wake up relaxed each morning. The Downia Summer Lightweight Duck Feather and Down Quilt is filled with 30 percent white duck down and 70 percent white duck feathers, wrapped in an ultra-soft cotton down-proof casing with a 233 thread count. 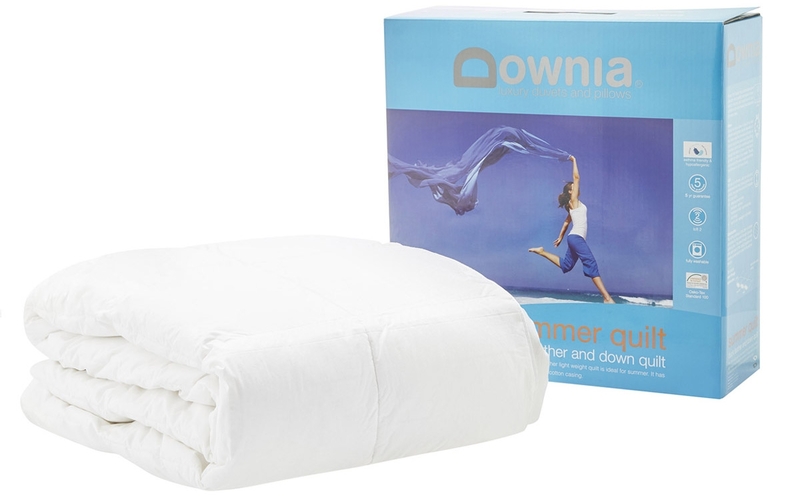 The Downia Summer Lightweight Duck Feather and Down Quilt is light weight duvet that is ideal for warm temperatures or climate controlled bedrooms. Definitely a great quilt for hot summers..